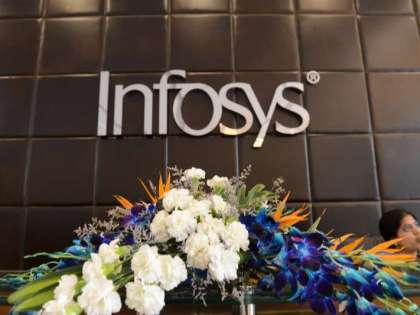 Good news for people working with Infosys. The global leader in technology services will soon roll out the salary increment sheet by January 2019. Previously, the junior level employees got a hike in their pay scale in April, while senior executives' increments were kept on hold. However, a source close to the development said that the increment will be small, between three to five percent. Close to 500 people who are associate vice-presidents, vice-presidents, senior vice-presidents, and executive vice-presidents will be benefited by the move, reports Times of India. The senior vice-presidents are also expected to receive stock units. Along with increments, around 100 senior employees are also expected to be promoted. The MNC also plans to increase performance incentives for employees to motivate them to work harder. Report says that the performance incentives for the senior employees depend on their digital performance, operating margins and revenue. The kind of judgement is done when most IT companies want to replace senior employees with young energetic population, who can bring new age knowledge to the company. For instance, Cognizant offered voluntary retirement packages to their senior level employees while Tech Mahindra lowered the retirement age. Cognizant had also laid off 200 senior employees.